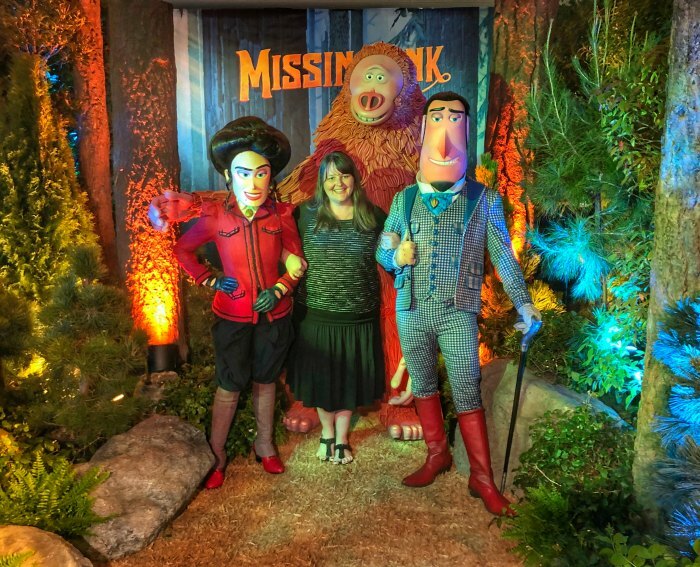 Missing Link, the latest stop-motion animation film from LAIKA Studios, hits theaters April 12th and I’m thrilled to have had the opportunity to attend the press event in L.A. recently (thanks to our partnership with United Artists Releasing). 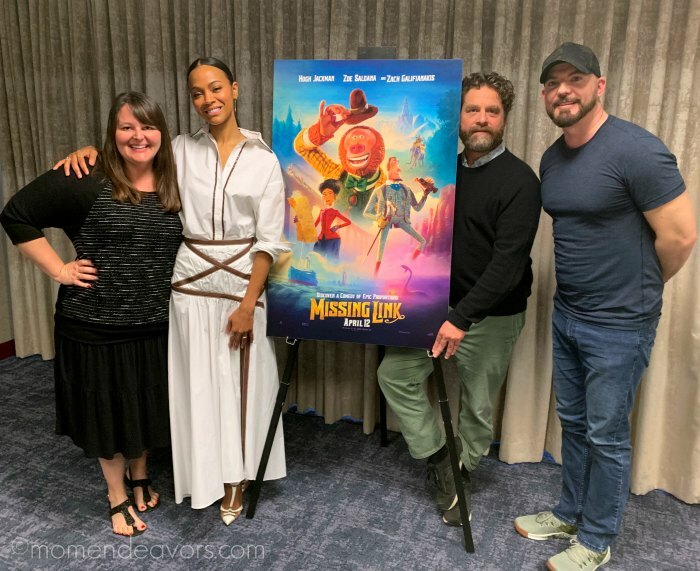 So, I’m excited to share all the fun details from our interview with Zoe Saldana, Zach Galifianakis, and Missing Link Director Chris Butler. How cute is Mr. Link?! I love him! And what a great cast – starring Hugh Jackman, Zoe Saldana, Zach Galifianakis, Timothy Olyphant, David Walliams, Emma Thompson, Matt Lucas, Ching Valdes-Aran, Stephen Fry, and Amrita Acharia. Missing Link is written and directed by Chris Butler, who we had the pleasure of chatting with. Since I’ve had the pleasure of interviewing Zoe Saldana before, I already knew how wonderful she is. And with Zach Galifianakis there as well, I was pretty confident we’d be in for a great interview (and it totally was)! They were SO nice to take photos with us as well – I mean, it’s not everyday you get a fun photo like this! 🙂 If you’re familiar with LAIKA Studios (or stop-motion animation) at all, you’re probably already aware that these projects take FOREVER to make! They are true labors of love. 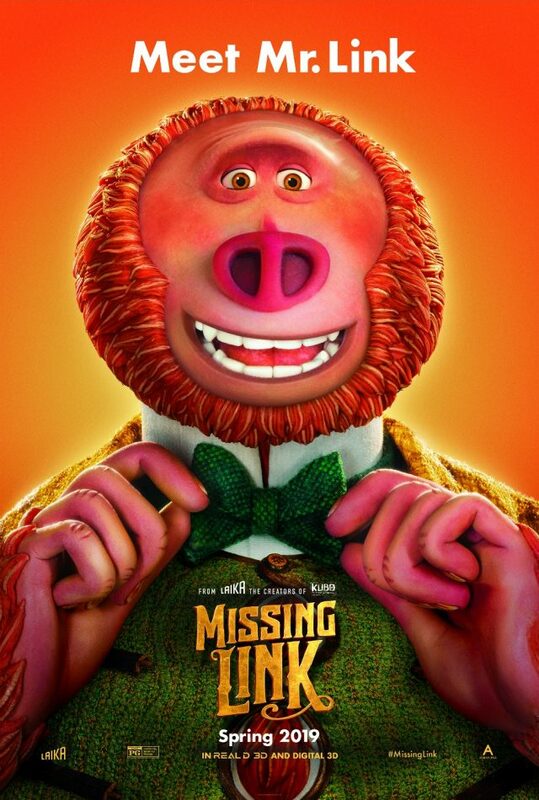 In a way, you could say that Missing Link is actually at least 15 years in the making. Director Chris Butler shared that the idea for this movie actually started with a little drawing he did about 15 years ago. He called it a “hairy avocado with legs”. And, he kept coming back to it and and people kept saying, “That is a very charming thing” (and it totally is). Chris shared that the studio has been working on this one since ParaNorman (2012) finished up. Chris actually presented 3 different ideas to Travis Knight (CEO of LAIKA Studios) and told him to “Pick 1”. Chris was thrilled when Travis chose this one as it was Chris’ 1st pick too. I think he went for it for the same reason– ’cause it was different from what we’ve recently done. It had adult protagonists; it was brighter, bolder. And this is TOTALLY true – there’s a brightness to Missing Link that is very different from The Boxtrolls and Kubo and the Two Strings. 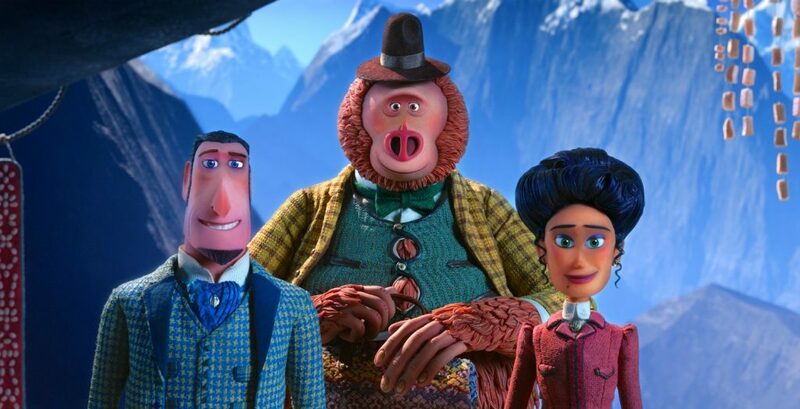 The visuals in Missing Link are absolutely stunning! My favorite scene in the movie is actually the same as Zoe Saldana’s — “when they’re riding on the elephants.” Everything about this scene is just stunning. And when you realize the work that goes into creating a scene like that, it’s really just astonishing. On that note, you’ll want to stay through at least the midpoint of the credits because you actually get to see some “making of” and it includes that elephant scene. Seeing the work that goes into it, really gives you a better appreciation for the art that this is. Zoe shared some of those sentiments, expressing the love and passion that goes into making these films. You’re making peace with the fact that you’re gonna have to wait four years. But I love stop-motion, there’s just something that is just so aesthetically pleasing. And when you hear that it’s time consuming, that means that only people that are a part of this world make the choice to be here. So that means that there’s a level of commitment and passion and devotion and artistry that is invested in this form of art that LAIKA just refuses to let die. So, that is what attracted me in the first place to want to do it. I think I’m used to being a part of projects that take forever to make. But Chris Butler was very convincing and he was wonderful. And when he showed me all the reference pictures and I was able to see Adelina, I fell in love with the whole story of it. And when he said that Zach and Hugh were already signed on, I said, ‘Okay, absolutely, yes, I’m gonna do it’. Zoe is fabulous in this role! Her character is passionate, strong, and fierce. And Zach Galifianakis is SO great as Mr. Link. There were SO many hilarious parts. As one might expect, he was also hilarious in the interview, joking that “I’ve always wanted to play a hairy avocado, or I’ve been told I look like a hairy avocado”. So funny. One thing that stood out in the movie (which made for some funny, sweet, and sad moments), was Mr. Link’s innocence. And that’s something Zach talked about during the interview. Zach TOTALLY nails it! The child-like innocence comes out throughout the film and makes the character even more endearing. And he makes some good friends along the way. It’s actually what Chris says is the major theme/takeaway of the movie. think, you know, using this [Mr. Link] to get that across is a very cuddly way of doing it. I agree– the cutest sasquatch I ever did see! 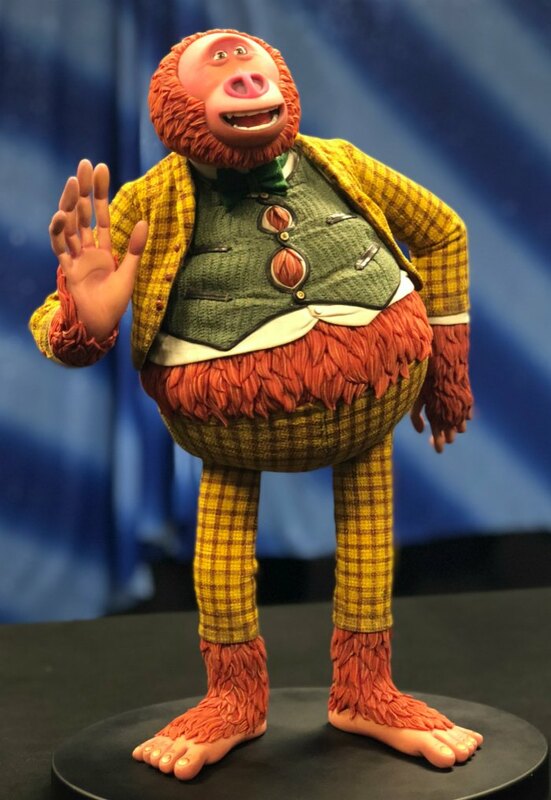 And YOU can see this adorable “hairy avocado” when #MissingLink hits theaters everywhere April 12. Get your tickets now here!